SW rerailers are sold per unit, but must be used in pairs — a pair consists of one inside rerailer (SWB-IN) and one outside rerailer (SWB-OUT). 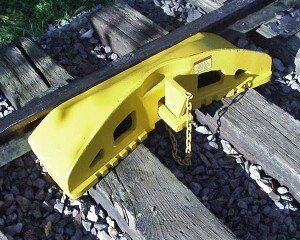 The SWC Clamp is optional. NOTE: This unit is not recommended for multiple rerailments. A rerailment may cause stress points which may result in failure.